Modern Tramway and Rapid Transit Review - January to December 1973 - 12 issues. 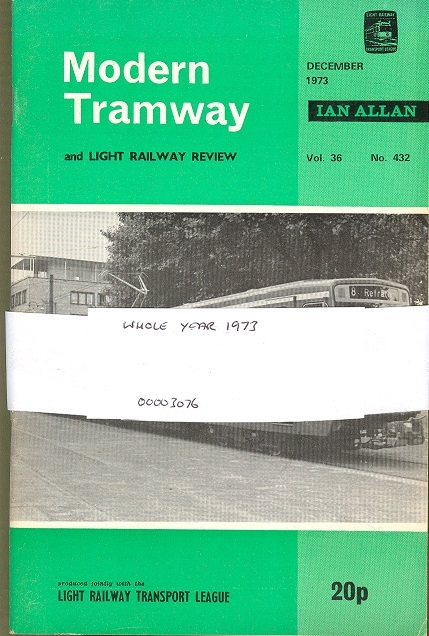 Modern Tramway and Rapid Transit Review - January to December 1973 - 12 issues.. Wyse. W.J. (Editor). Ian Allan LTD, 1973. 1st Edition. ISBN: . approx 440 pages inc adverts. 660g. Stapled soft card covers all a little rubbed, Very Good.